The Seevers Family Blog: Good Life Naturals, Inc.-It's Official! Good Life Naturals, Inc. is officially open for business! 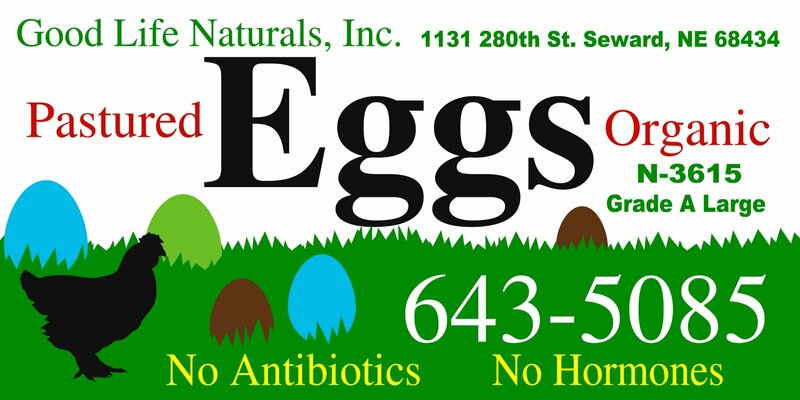 Below is the sign that you will see at the farm, at farmer's market and on our cartons! Gracie helped me carefully design the label to tell as much of our story as possible right on the sign. Yes! We have green/blue and brown eggs! Yes! The chickens are foraging on green grass! No! we don't use antibiotics or hormones! And yes! The hens are fed organic chicken feed! The labels are hot off the printer so the kids and I are on the way to the farm to label the cartons. Production continues to ramp up so maybe we'll see YOU at farmer's market this Saturday. Call us if you want a weekly standing order!